New Jersey 495 east at the Weehawken entrance to the Lincoln Tunnel. Consisting of three tubes which opened in 1937, 1945 and 1957 respectively, the Lincoln Tunnel connects Union City, New Jersey with Midtown Manhattan in New York City. Photo taken by Cesar Centeno, Jr. (01/01/08). New Jersey 495 comprises a limited access highway linking Interstate 95 (New Jersey Turnpike) in the town of Secaucus with the Lincoln Tunnel into Midtown Manhattan, New York. The freeway connects with New Jersey 3, U.S. 1/9, and commercial and neighborhood areas of North Bergen Township and Union City. The New Jersey Turnpike Authority, NJDOT and the Port Authority of New York share maintenance along the 3.45 mile long route. The eastern half of the Lincoln Tunnel and the ramp system to Dyer Avenue and 34th Street are part of New York 495. The state route is not marked. 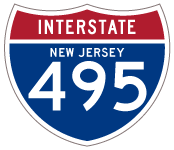 Former Interstate 495 was intended to connect I-95 (New Jersey Turnpike) in North Jersey with the Long Island Expressway across New York City. 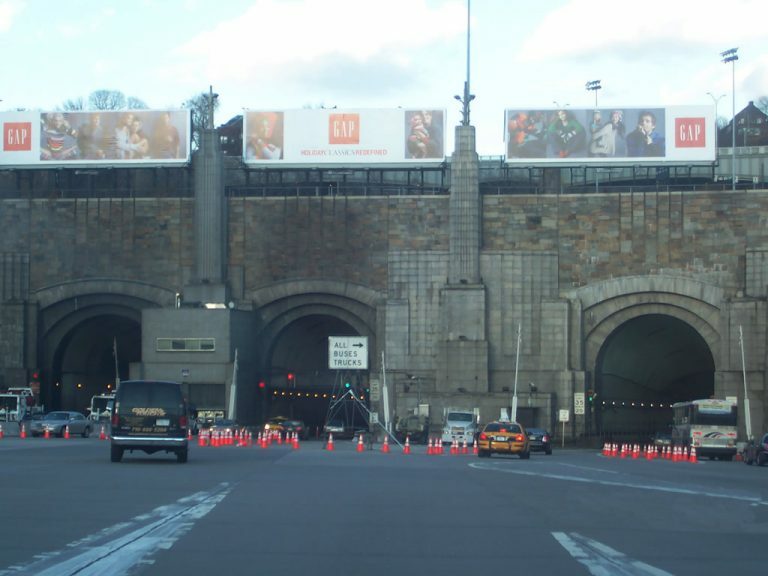 As part of the proposed Mid-Manhattan Expressway, the Lincoln Tunnel would have been part of a freeway route across Manhattan connecting Union City with Queens. 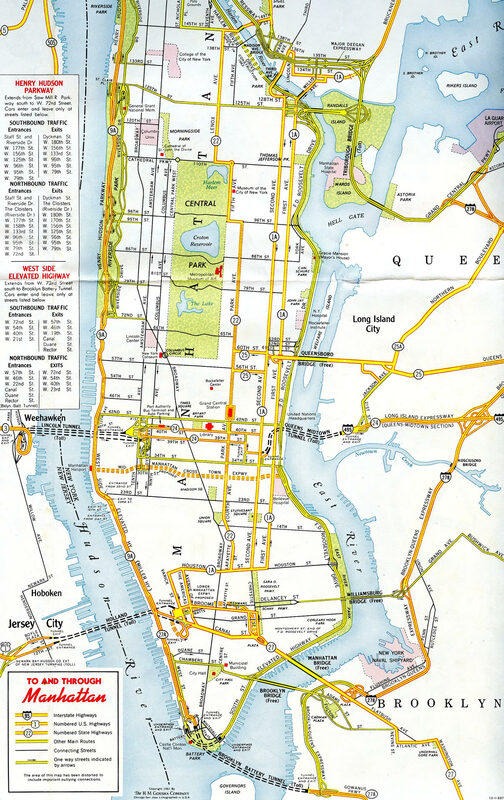 The Mid-Manhattan Expressway was dropped from the Interstate system by AASHO on June 23, 1969. With the cancellation of the Mid-Manhattan Expressway in 1971,1 the section of I-495 between I-95 and the Lincoln Tunnel was orphaned from the Long Island Expressway segment east of the Queens Midtown Tunnel. The tunnel approaches to both the Lincoln and Queens-Midtown were to extend southward to the Mid Manhattan Expressway as part of Interstate 495. Filmed in October 1998, a remaining Interstate 495 reference was located east of the New Jersey Turnpike toll plaza. This overhead appeared in the 1976 movie Cannonball. 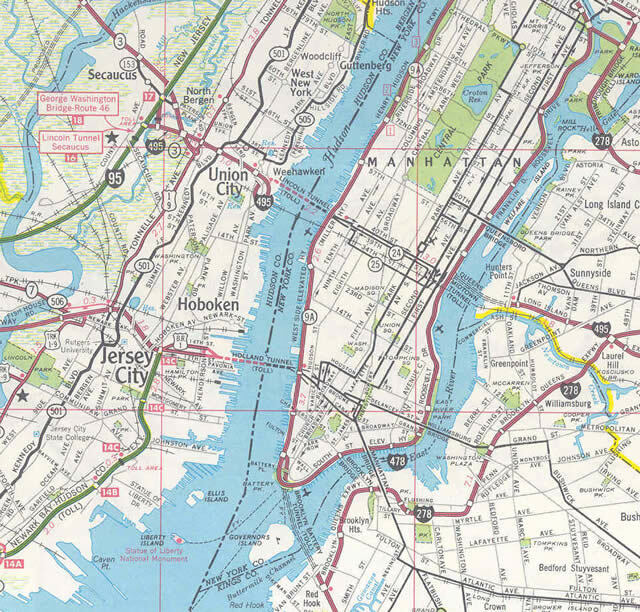 Interstate 495 between I-95 (New Jersey Turnpike) and the Lincoln Tunnel – 1969 New Jersey Official Map. AASHTO approved the elimination of Interstate 495 from I-95 in North Bergen to Pleasant Park Avenue in Union City on June 22, 1980. 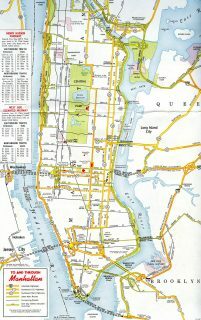 A subsequent request by both New Jersey and New York to AASHTO eliminating I-495 between Weekhawin Township and Interstate 478 (West Side Highway) in Manhattan was approved on June 9, 1986. 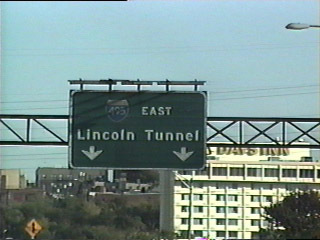 The freeway west from the Lincoln Tunnel was redesignated as New Jersey 495. The New York section of Interstate 495 remained east of the Queens Midtown Tunnel. It was eventually extended to cover the remaining distance of the Long Island Expressway to Riverhead in 1984. Page updated January 23, 2019.